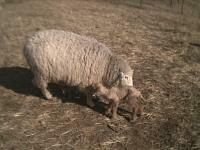 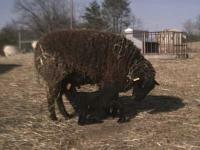 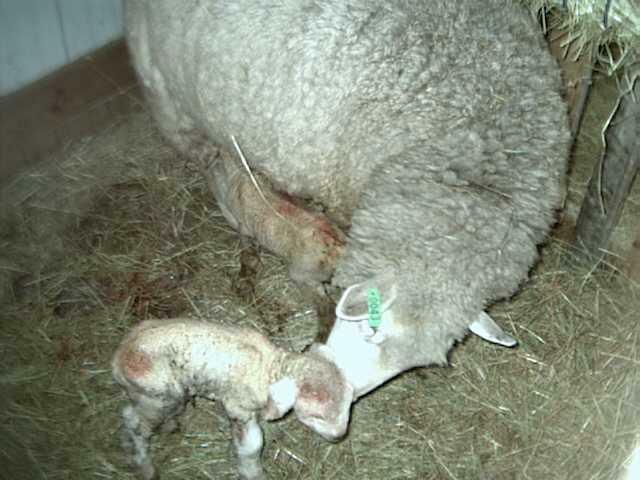 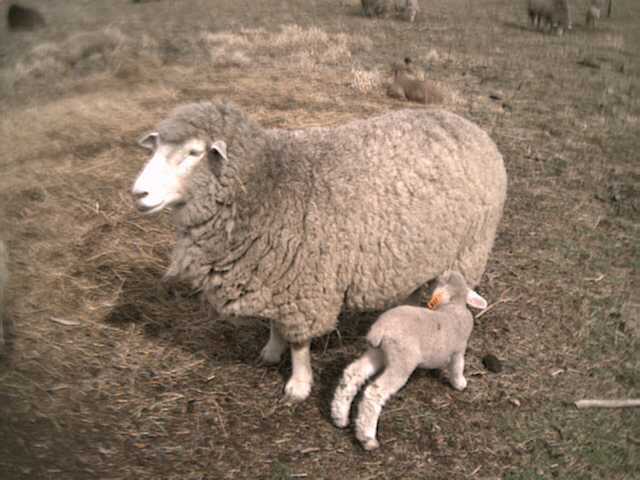 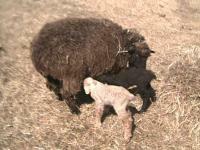 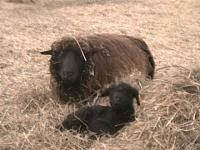 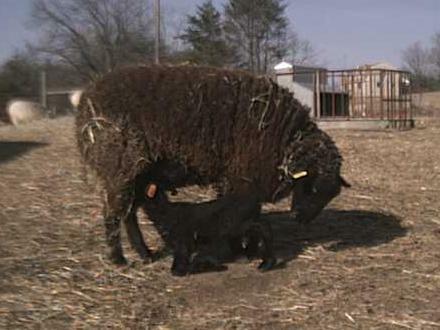 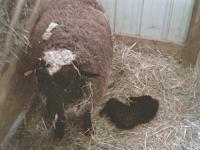 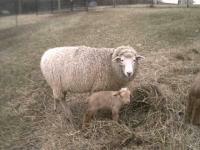 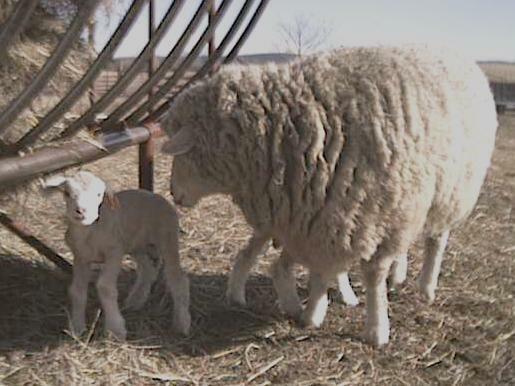 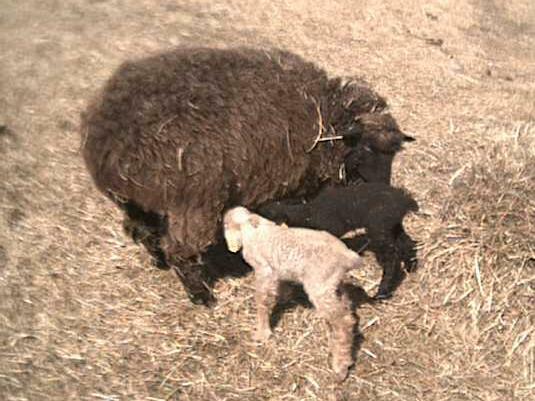 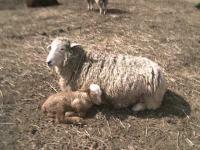 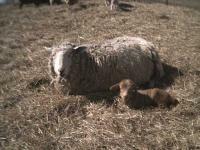 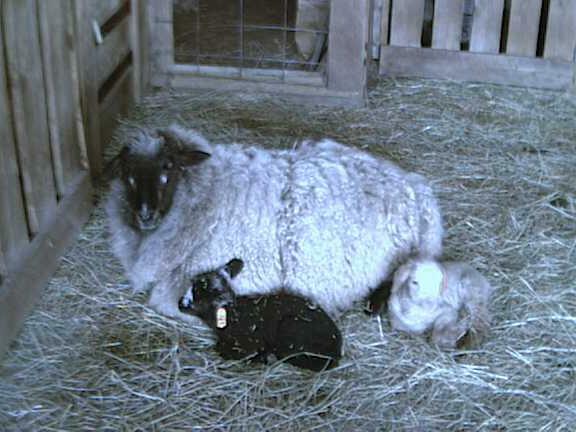 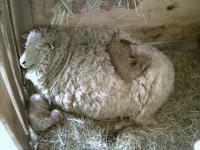 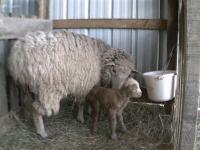 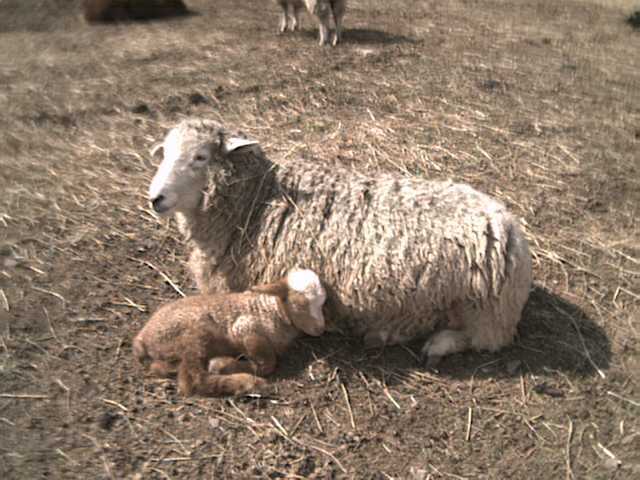 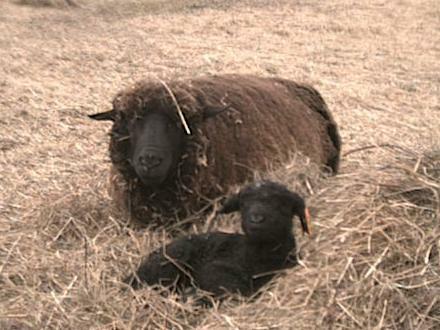 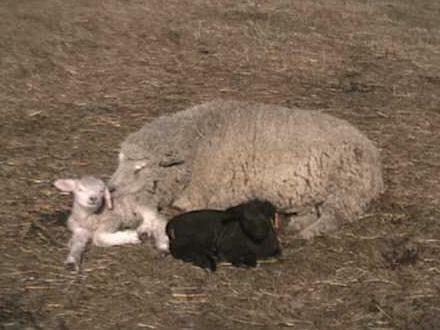 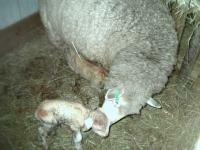 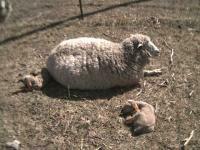 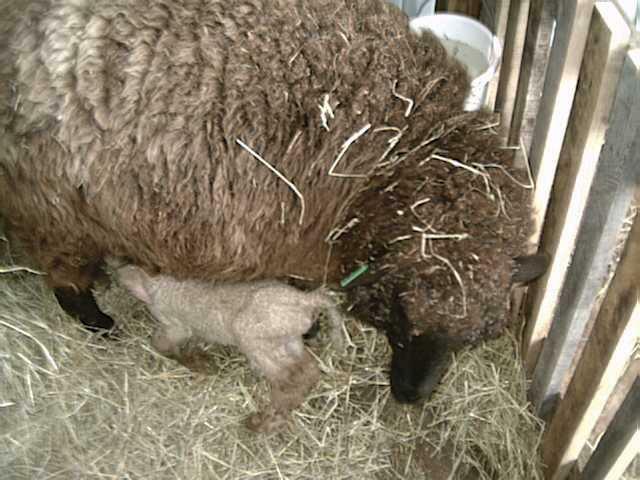 Spring lambing 2001 total count: 68 lambs (31:37) born to 47 mothers. 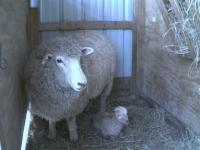 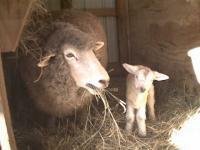 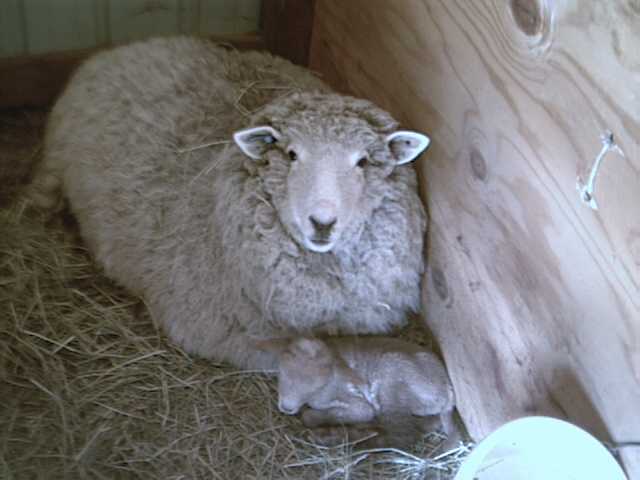 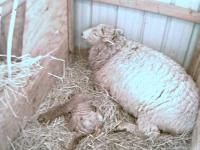 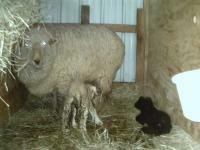 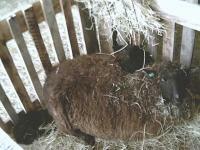 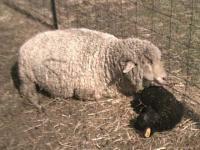 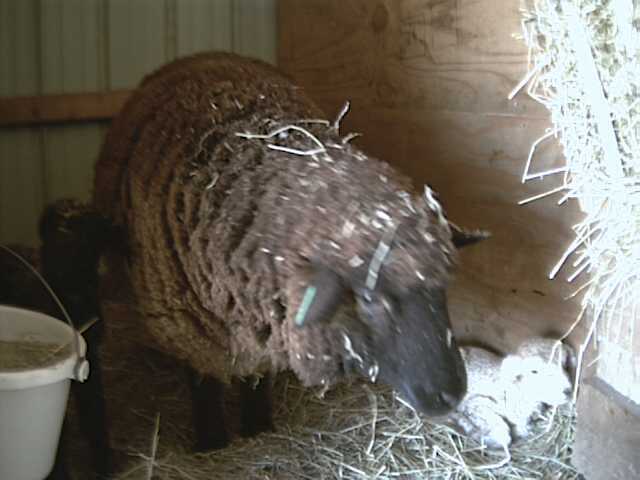 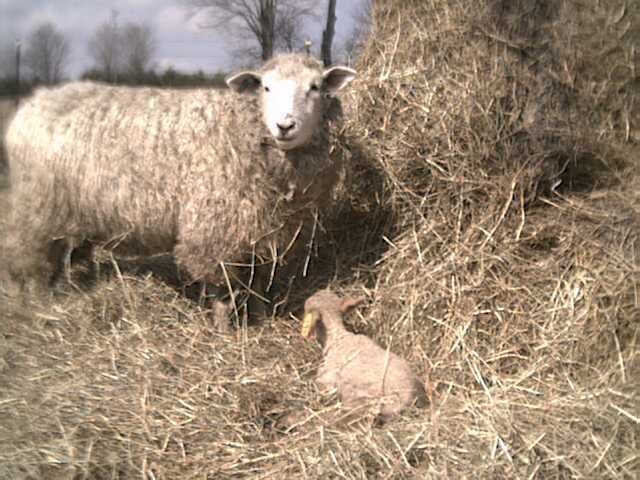 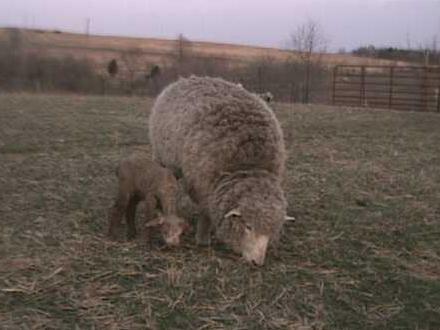 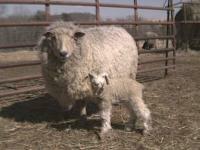 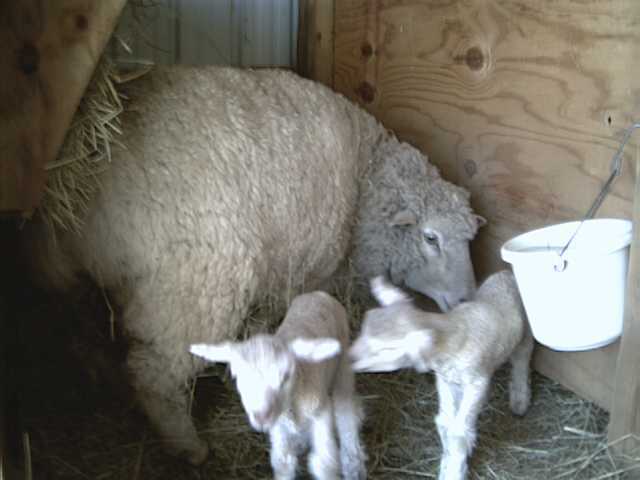 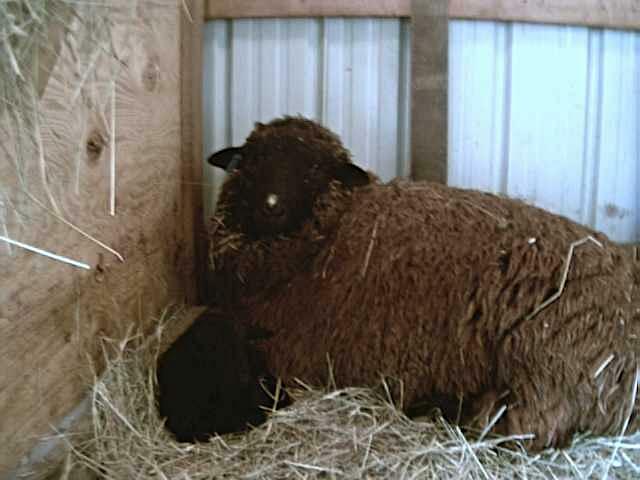 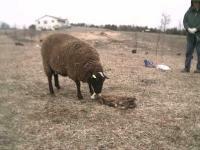 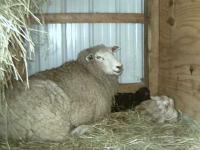 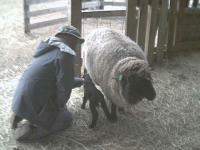 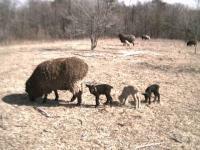 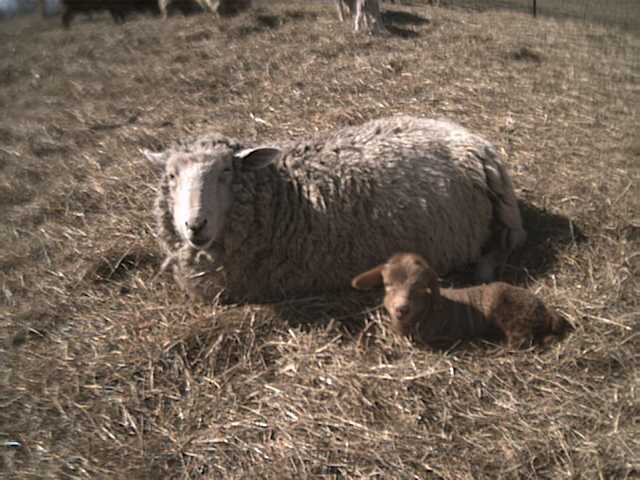 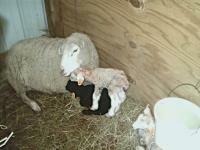 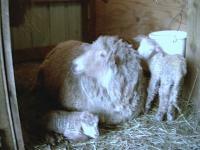 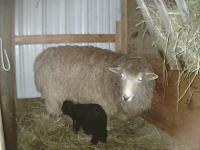 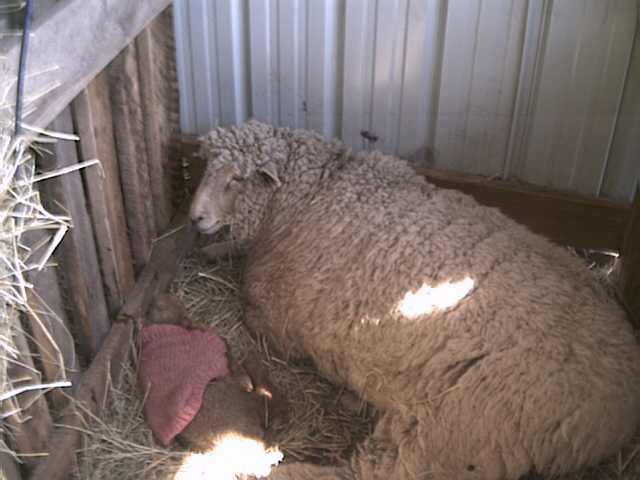 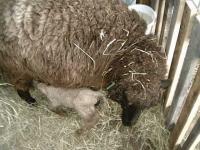 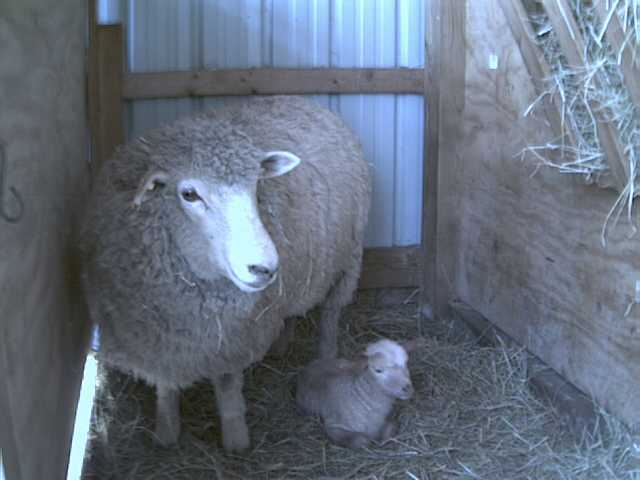 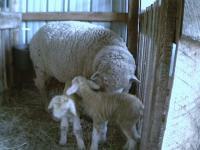 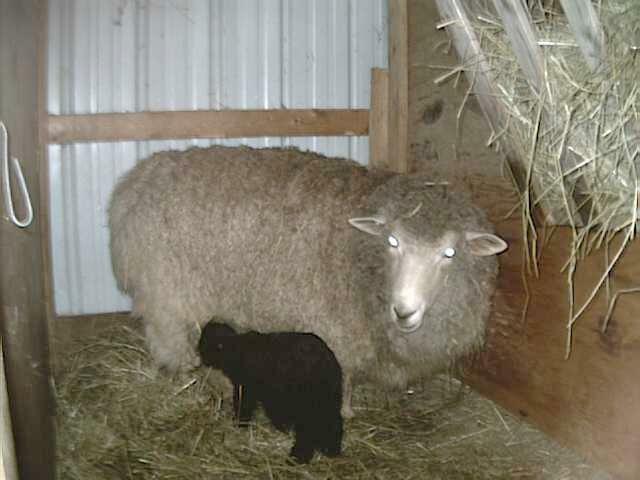 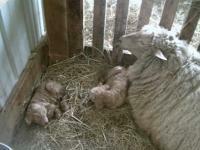 Last updated 11:07 am on Tue Jun 5 2001.
when they are still in their lambing "jugs" with their mothers. 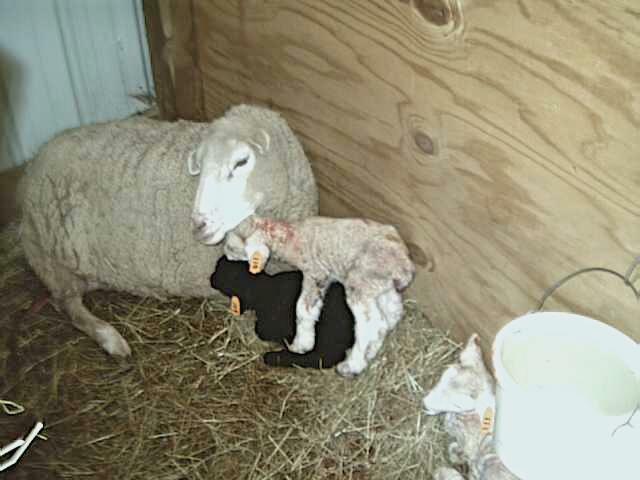 The names are color coded as male and female. 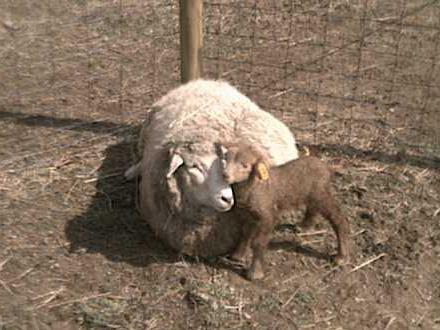 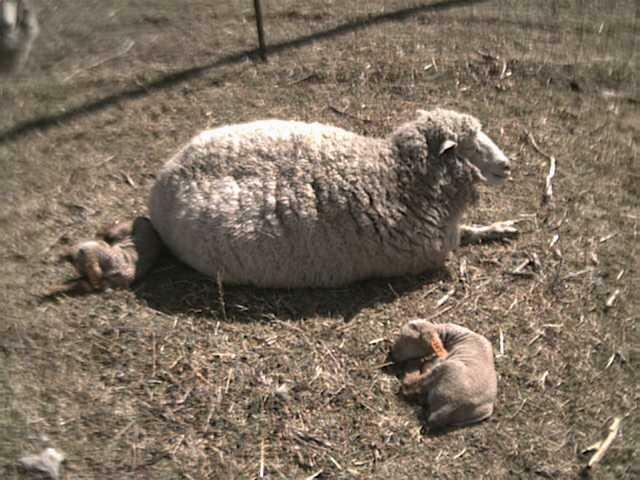 This weak lamb needs some help nursing. 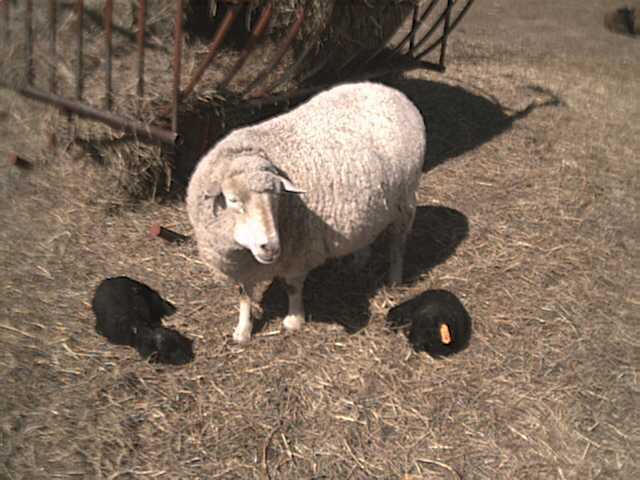 Update Thurs. 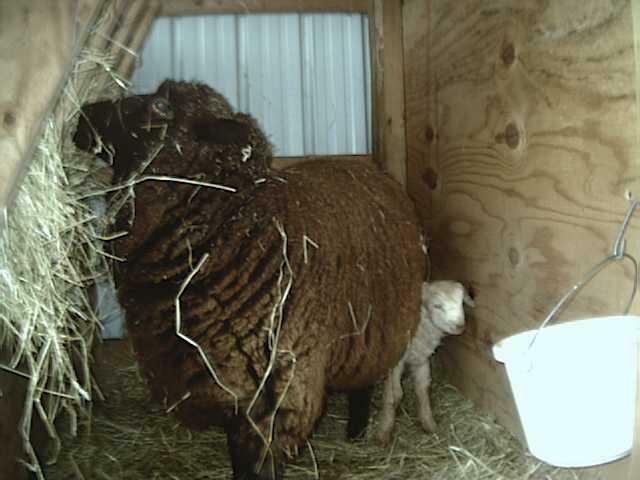 March 22: She is feeding on her own now. 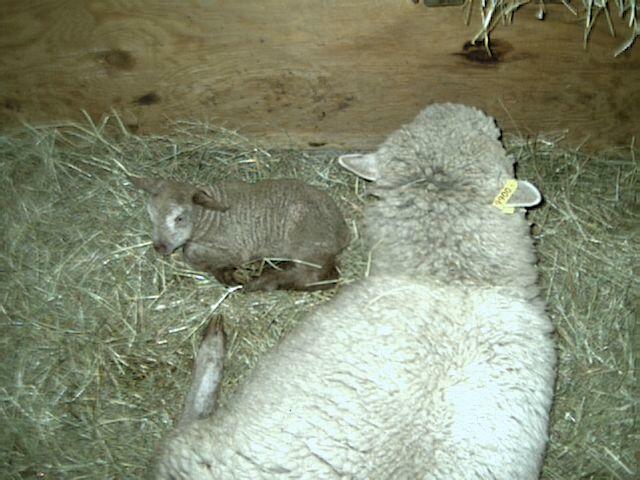 Since it was a very cold night, we put a fuzzy pink wool sweater on Dinah. 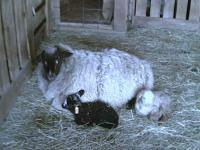 Charisma was so small, we didn't think she was pregnant this year. Surprise! 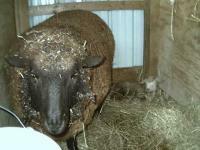 Angela gave us quite a scare. Because of a medical problem (treated by a vet) two weeks ago, we thought she would have a very tough delivery, but she and the babies did great. This picture was taken within minutes after Derringer was born. 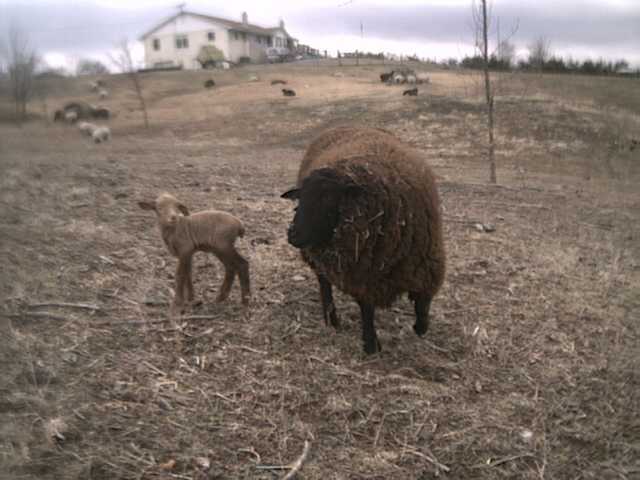 This photo was taken when Dresden was less than 2 hours old. One day old and Daffodil is learning how to graze.